Item Number: 50-102 19059 Actual Weight: 13 lbs. Keep newspapers and literature clean and dry. 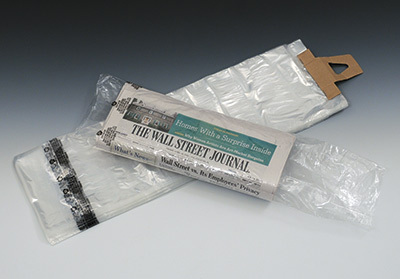 Low-density clear bags are printed with suffocation warning message. Vent hole allows moisture to escape from bag. Printed with suffocation warning. Conveniently packaged on a pad.